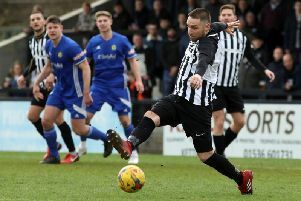 Diamonds were held to a third successive stalemate in the Evo-Stik League South Premier Division Central after they drew 0-0 at St Ives Town. 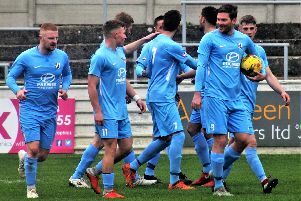 The result means Peaks’ team remain six points off the play-off places with Stratford Town now the side to aim at as they sit in the final spot. But Diamonds will need to start turning draws into wins in the final stages of the campaign as they gear up to take on second-placed Stourbridge at Hayden Road next weekend. And Peaks insists they won’t be throwing in the towel. “We just lacked that something extra in the final third,” the Diamonds boss said as he reflected on the draw at St Ives. “It’s been a bit of a problem for us in recent weeks and we are just lacking that bit of guile in front of goal at the moment. “We lost Ben Diamond to the ankle injury he suffered in the Hillier Cup final and that didn’t help matters. “But the gap between us and the play-off places is still the same as it was before the game, it just means there is one less match to try to haul it back. “And anyone who knows me and my players will know that we aren’t giving up on it.